How Can I Tell What Model Oakley Radars I Have? 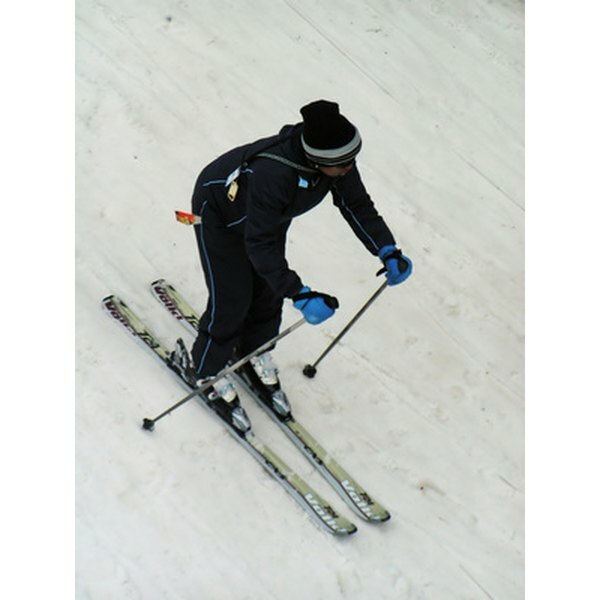 Oakley Radar sunglasses can protect your eyes during activities like skiing. Oakley is a popular brand that offers various types of sunglasses, including Flak Jacket, M Frame, Half Jacket and Radar. Athletes sometimes use these sunglasses during competitive activities, such as cycling, snowboarding and skiing. Oakley sunglasses can protect your eyes from the sun, wind and other harmful agents during these activities. You can purchase several different models of Oakley Radars. Check the booklet or any packaging that came with your Oakley Radar sunglasses if these materials are available. They may have the name of the model of Radar sunglasses you have. The three models are Range, Path, and Pitch. Bring your Oakley Radar sunglasses to the store where you purchased them. Compare your Radar sunglasses to the other models available in the store. When you find one that matches your pair, you'll know that's the model you have. Examine your Oakley Radar sunglasses to determine the model. Each model has subtle differences in the shapes of the lenses. The Radar Pitch are the only pair with rounded lenses at the bottom. The Range and Path both have slight indentations on the bottoms of the lenses. The Path have the smallest lenses and curve inward sharply at the bottom. The Range are slightly larger with a less dramatic curve. If your Oakley Radar sunglasses don't match any of the models described, then you most likely have a custom pair.